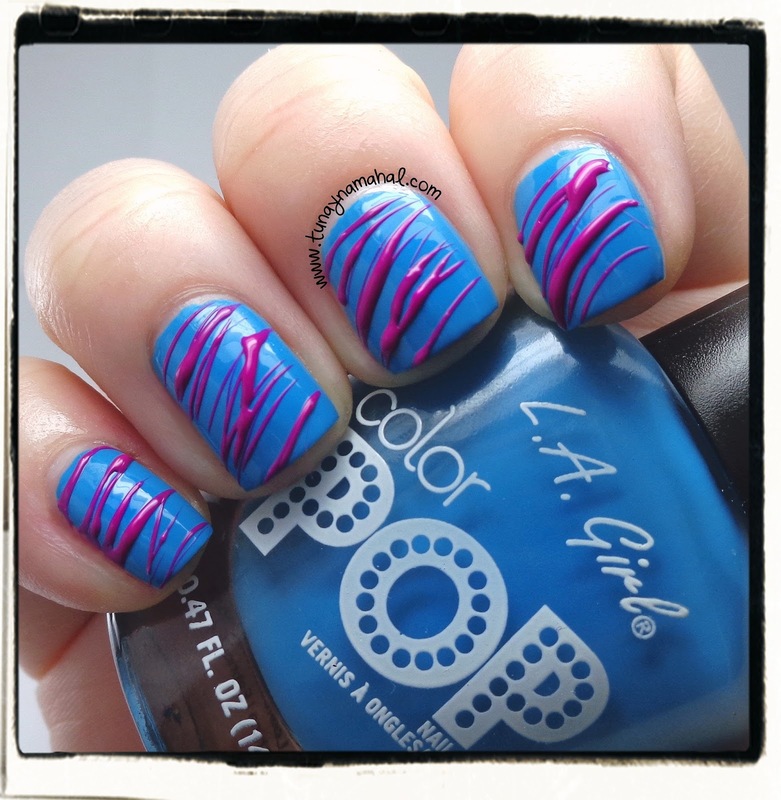 I really enjoyed doing sugar spun mani's last time with some of the L.A. 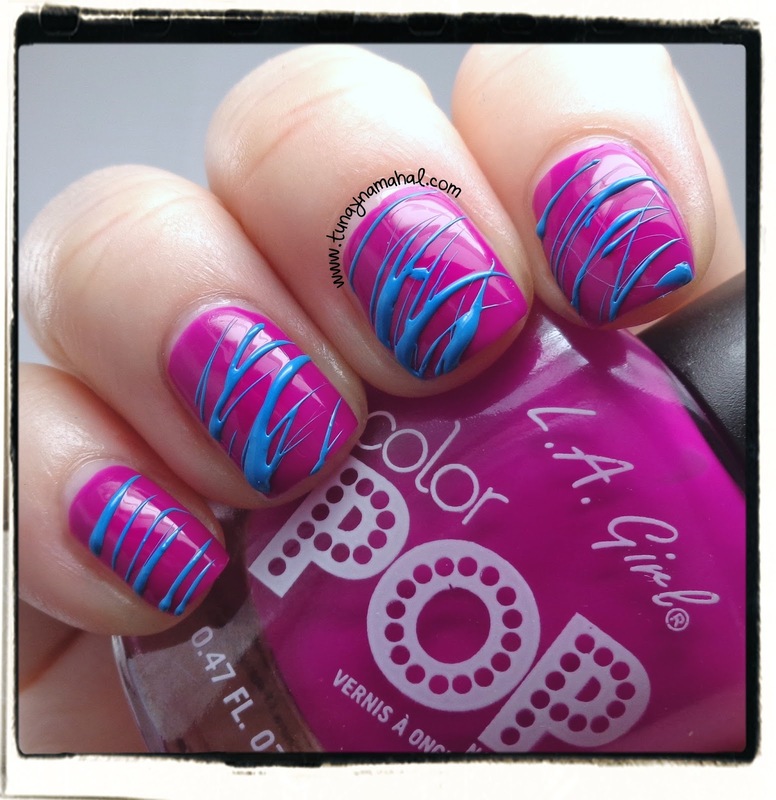 Girl Color Pop polishes, I was sent to review. I wanted to do two more with Blast & Plunge. I just love how these look with the bright colors! Two coats of Blast with Plunge sugar spun over it. And this is two coats of Plunge with Blast sugar spun over it. Check out my full review of the L.A. Girl Color Pop polishes. (L.A. Girl: Color Pop nail polishes can be found at Rite Aid, they retail for $5.00). I blog about: history, life, my pet rats, nail polish, bath & beauty, books, marriage, immigration, food, photography, and my various travels & adventures. 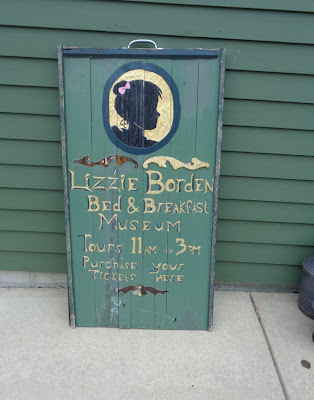 Lizzie Borden- Bed & Breakfast Trip: Part 1. Tieks, Tieks, & More Tieks! My New Love: Tieks Ballet Flats!